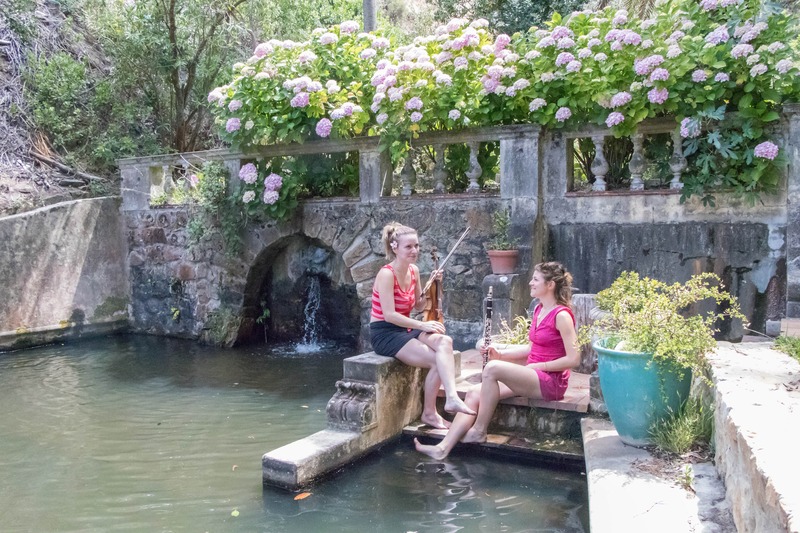 If you walk through the four-acre private nature reserve at Camps Bay Retreat, through the indigenous forest, past the nature pool, and towards the organic nursery, you might come across two surprising structures tucked into the greenery. These converted shipping containers are “Pods,” self-contained units Village n Life built as an alternative to traditional holiday accommodation. The tiny house movement inspired Maree Brink, Village n Life chairman, in his design of the Pods. “I wanted to emulate the idea of a yacht, with its self-contained living quarters, but for land. Something compact, with no wasted space,” says Maree. The interior of the converted shipping container Pods. The Pods’ interiors are luxurious, as is the standard of Village n Life, but that luxury comes with a tiny twist. At only 18m2, they are about a quarter of the size of a standard hotel room. 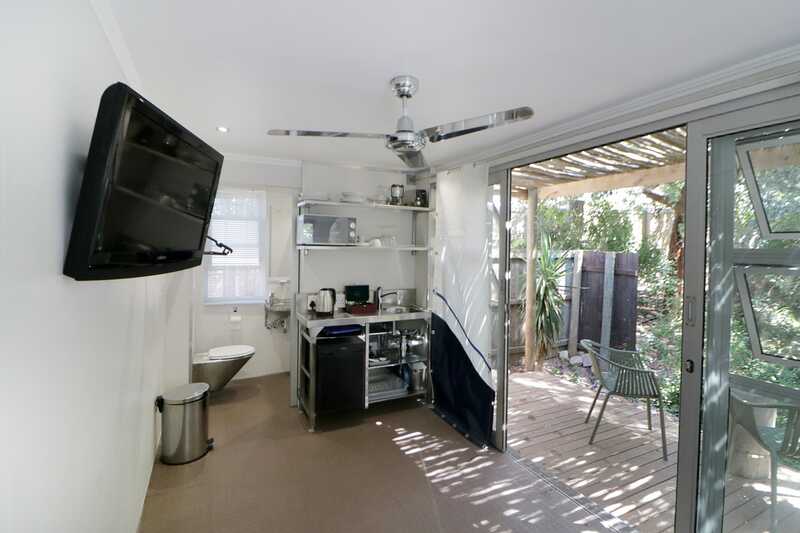 The units are completely self-contained, each with a shower, toilet, kitchenette, bathroom, and balcony seating area. Spaciousness is typically a much-valued attribute when it comes to holiday homes and hotels, but when it comes to the Millenial crowd (and Millennials-at-heart), they have different expectations. A recent study from Topdeck Travel showed that 86% of Millennial travellers (classified as aged 25-34) prioritise authentic experiences over other travel considerations. To keep up with this growing demand – and focus on sustainability – Village n Life started building Pods in 2016. The first Pod was built in Cape Town and transported to its current location in Langebaan at Kite Co House. After that, two more Pods were added to Camps Bay Retreat. 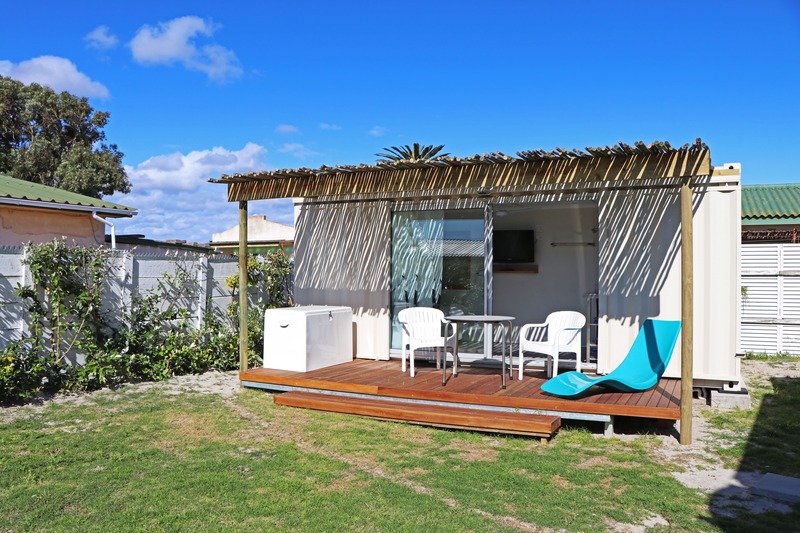 The Pod at Kite Co House in Langebaan is perfect for the water sport enthusiast. 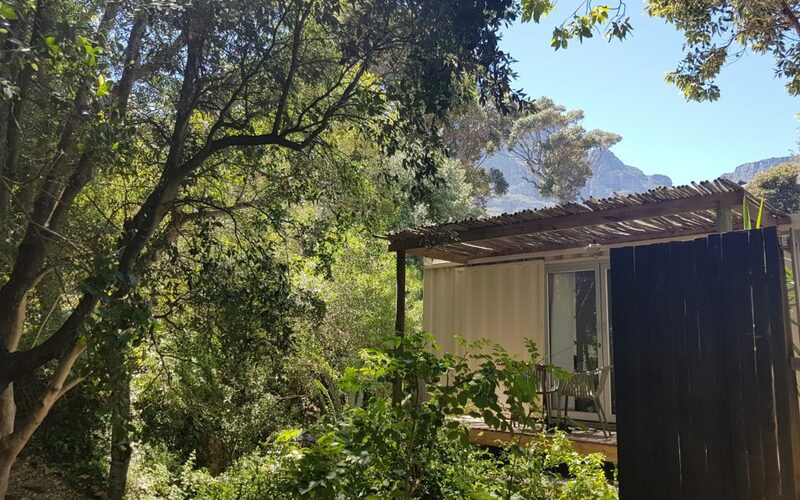 The Pods are all rented on Airbnb (see the listing for KiteCo Pod here and the Camp Bay Retreat Pods here). And, the reviews are telling. All so far have ranked the Pods 5 stars on cleanliness, value, and location. AirBnB guests’ comments about staying in the Pods. 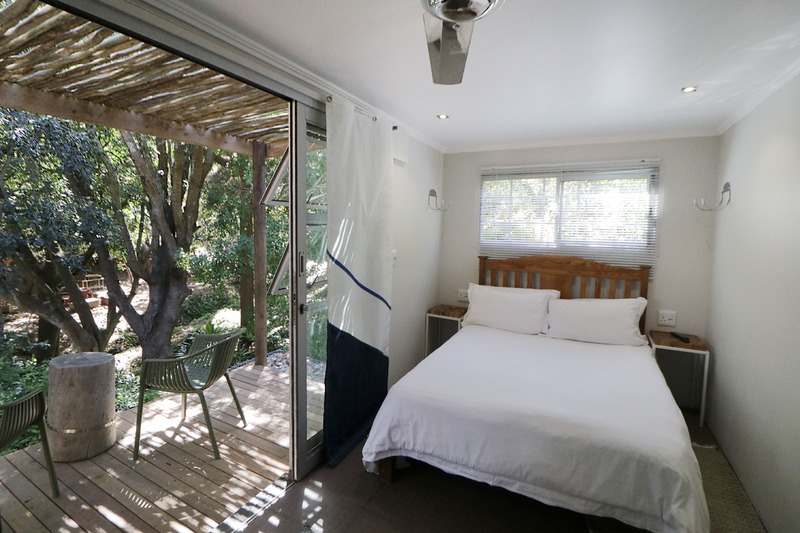 At Camps Bay Retreat, all proceeds from the Pods are channelled directly to the Garden Sabbatical Programme. Because the Pods are located right beside the nursery, there are ample opportunities for guests to get involved with the garden, through tours and interactions with the volunteers. There is massive potential for the Pods to be far more than simply a place to stay. Some guests, musicians from Germany, who loved staying at the Pods, and enjoyed the nature pool at Camps Bay Retreat. The tiny house trend has been growing across America since the 1990s as an affordable option for young people, as well as a lifestyle choice to live simply. Only recently tiny houses have become popular in South Africa, particularly in the style of the converted shipping container, such as this home in Cape Town, or this one in Johannesburg. The Village n Life Pods can be moved to different locations easily. Their foundations are moveable and designed to have a “no trace” impact on their surroundings. The Pods were built from new shipping containers, designed by Maree Brink. The containers were specially cut and welted by Big Box Company, a company in Maitland for this use. Will there be more Pods built in the future by Village n Life? Certainly.